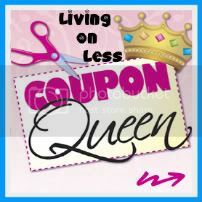 "Living On Less With The Coupon Queen"
Her blog was randomly selected from the participants of last Friday's Blog Hop to be the featured blog this week!! I hope you like your new button Michele! Yeah to the 45th edition. I love coming by here on Fridays - and following up through the weekend - all with my coffee of course! Hey Java, how's it going? I was wondering have you done any shoots lately? I remember that one you posted. It was totally awesome. Well, today is my grandson's birthday. 22 yrs old Can you believe that? Sheesh! All I did was blink! hahaha Have a great weekend! HUGS! Ohhhhhhh a couponing blog! I'll have to check that out! Have a great weekend! Love the button for Michele!! She has wanted one forever, so this will be great!! Glad the random number thing picked her. Happy Friday, Java! Have a Wonderful Weekend!! Just stopping by to say thank you for hosting the blog spot :) I know it takes a lot of your time. 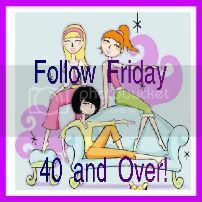 I've been trying to get around to a few new blogs each week and get to know some new bloggers. Congratulations to the Coupon Queen. We met in the last week or two. It's been great finding new "thrifters" to share my passion with! Hooray!!! another week of hosting.